Longtime sonic partners Jim O'Rourke, guitarist Oren Ambarchi and Japanese experimentalist Keiji Haino are teaming up once again for a new LP. Their fourth full-length collaboration is called Now While It's Still Warm Let Us Pour in All the Mystery, and it drops April 30 through Ambarchi's Black Truffle imprint. The live LP follows 2012's Imikuzushi and was recorded late last year at SuperDeluxe in Tokyo. While a tracklisting has yet to be revealed, it's apparently a six-song set that also features guest appearances from minimalist composer Charlemagne Palestine and Japanese improviser Eiko Ishibashi. According to the press release, "The music here is presented in six shorter pieces, each one displaying a different side of the trio's interactions, from holy minimalism to cave-man rock... Now While It's Still Warm... exudes the dark, alien quality of Haino's greatest recordings and testifies to the strength of the musical bond that has developed between these three players." 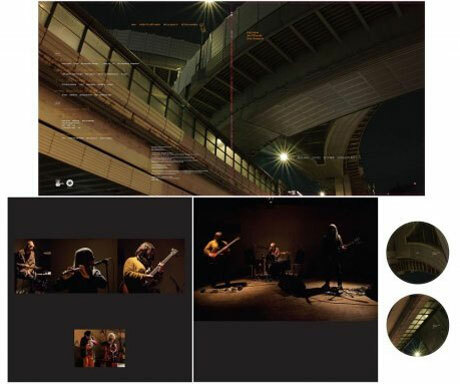 Now While It's Still Warm Let Us Pour in All the Mystery will be released as a six-panel digipack CD and as a limited-edition gatefold LP, featuring artwork from Shunichiro Okada and live photographs by Ujin Matsuo. Sunn O))) guy and Ambarchi collaborator Stephen O'Malley designed the packages.